Mrs. Gloria Kay Cattage was born September 6, 1951, in Milwaukee, Wisconsin, to the late Robert Bernard Roberts and Virginia Margaret Fisher Roberts. She passed away on Saturday, September 22, 2018. Gloria was preceded in death by both parents; one daughter, Pam Sobbe; and one brother, David Roberts. She leaves to cherish her memory: a husband, James Wesley Cattage of Madison, Alabama; five daughters, Eve Salinas of Blue Ridge, TX, Noelle Branch of Gurley, AL; Amber Eakins of Madison, AL, Ashley Cattage of Huntsville, AL, and Jamie Cattage of Madison, AL; two sisters, Judy DuValle of Denison, TX and Ginny Satterfield of Harvest, AL; one brother Guy Roberts of Meridianville, AL; nine grandchildren and five great-grandchildren; and many other relatives and friends. 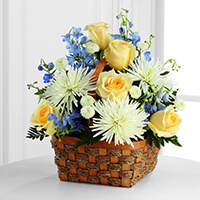 To send flowers to the family of Mrs. Gloria Cattage, please visit our Heartfelt Sympathies Store. Family will receive guests from 3:00 p.m. until 5:00 p.m., Friday, September 28, 2018 at Serenity Funeral Home. 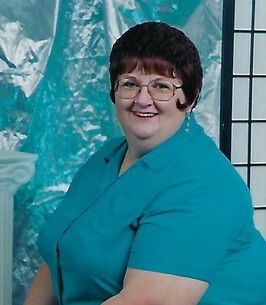 We encourage you to share any memorable photos or stories about Mrs. Gloria. All tributes placed on and purchased through this memorial website will remain on in perpetuity for future generations. I'm so sorry for your families loss. I hope you can find comfort in the Bible's promise at Rev. 21:4, (He will wipe out every tear from their eyes and death will be no more, neither will mourning nor outcry nor pain be anymore, the former things have passed away.) With deepest sympathy. We are so sorry for your loss. You and yours are in our thoughts and prayers. We love y'all so much. We are here if you need anything.